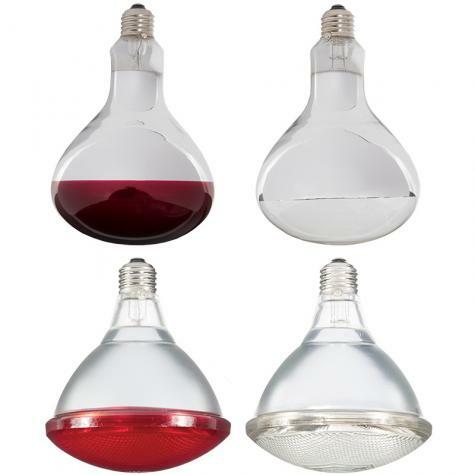 Smooth glass, red and clear bulb. 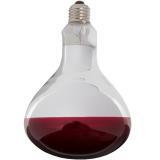 Pressed glass, red and clear bulb. 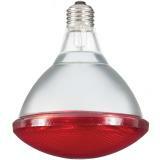 Smooth glass and pressed glass infrared bulbs that can be used in heat lamps. Why are our bulbs better than the cheaper versions? Surprisingly strong glass. Their heft (and performance) have given us confidence in their warming ability on cold winter nights. 175 watt. Sold/priced in packages of 2. 175 watt (Premier's choice) or 250 watt. Sold/priced in packages of 2. Conventional infrared lamps are cheap—but they usually fail within a month or two. Why? 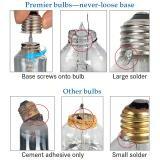 The base breaks away from the glass bulb because the high temperature causes the cheap adhesive to degrade. Both glass and filament are so fragile that minimal impact shatters them. Turn off (unplug) the lamp when not in use. Use a ThermoCube to turn the lamp on/off based on ambient temperature. Don’t hose off or power-wash the lamp when the bulb is in place. Don’t enclose the lamp. Heat will build up and degrade both the lamp and the bulb. Other bulbs are attached with cement adhesive. Heat causes the cement to lose its adhesive property. The base then breaks away from the bulb. Please see CAUTION photo above. 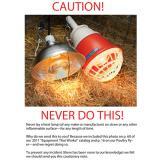 Never lay a heat lamp (of any make or manufacture) on straw or any other flammable surface—for any length of time. Why do we show you this? 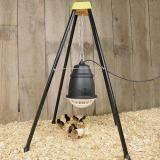 Because we included this photo on p. 60 of our 2011 “Equipment That Works!” catalog and p. 16 on our Poultry flyer—and we regret doing so. To prevent any incident (there has been none to our knowledge) we felt we should show you this as a cautionary note. 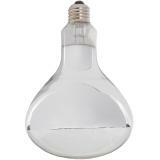 Do not use bulbs rated higher that 250w. Use quality bulbs as some low quality bulbs have broken off leaving the metal filament in the ceramic fixture. Please read this note regarding purchase of items #557034 or #557035. A customer has reported problems screwing PAR (pressed glass) heat lamp bulbs into our orange heat lamp fixtures—so we’ve studied this in detail. We have concluded that, because the PAR bulbs feel so sturdy and unbreakable in the hand (which they are), some users (including myself) are inclined to screw them in with more hand strength than they use for normal heat lamp bulbs (which are fragile and feel that way). Using too much strength to tighten the bulbs doesn’t damage the bulbs—but it does deform the brass colored metal inside the ceramic fixtures of our heat lamps. Number of reviews: 103 customers reviewed this product. Recommended: 98 out of 103 said they would recommend this product to a friend. As some others have mentioned, these pricey, heavyweight, underpowered heat bulbs separated from their bases within a very short time. We have sheep - with big horns. They are NOT kind to anything, not even the pole barn they're housed in. Within 3 weeks, one had died. In about another 3 weeks, the other one died. Both had simply fallen out of the metal base. Did the glue fail? 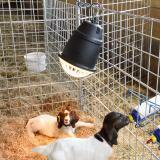 Did our critters batter the Prima Heat Lamp too much? I have no way of telling. However, I *CAN* say there was no evidence of arcing (as was suggested in one of the fixture reviews), no evidence, and even of adhesive on the base. The fixture showed no apparent evidence of abuse, which truthfully might be a testimony for the Prima fixture. Granted, Minnesota made national news for it's cold temps this winter, but 175w simply could NOT handle the cold - even when it was moderate. When I replaced the dead pressed glass bulbs with the uber-cheap bulbs from the big-box-hardware store (@250w) the critters were happier, and even with the increased heat, they did NOT fail for the rest of the winter (so far). No, thank you, I would NOT like a replacement on these bulbs. 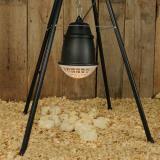 These are the best heat lamp bulbs I have ever found. The base never comes loose, and they last a very long time. 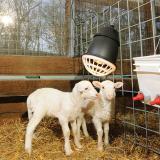 They are heavy duty, and are perfect with the Prima Heat Lamps, which are also the best. I stock up on these every year, and will not buy other bulbs. They are not worth it. 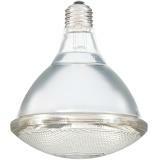 I needed this specific kind of heat lamp and and searched internet for competitive prices and Premier 1 Supplies has the best price! They were shipped out quickly and UPS actually sent email regarding the shipping status and when to expect the delivery. Everything came in perfect condition as expected. Will buy from Premier 1 again should any future need arises. Put light in Premier 1 lamp. Chix knocked it down and lamp broke at base. 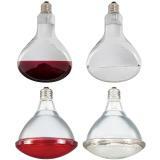 This did expose needed better hanging setup, and I would recommend this bulb and lamp base. Love the new heat lamps and bulbs! Built much better than the local store bought ones.